We provide Gainesville Florida FR44 Insurance. FR44 Insurance is required for a minimum of 3 years. Florida requires FR44 Auto Insurance prior to reinstatement of a Florida Drivers License after a DUI conviction. We are family owned, founded and managed by Sam Ridgeway, a Combat War Veteran with over 25 years of experience in the Insurance Industry. Sam's motto is "Customers First". 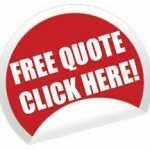 We have Gainesville Florida's cheapest prices for the highest rated Florida FR44 Insurance policies.If you live in Gainesville, Florida, we offer free quotes for FR44 Florida Insurance. Your Florida FR44 Insurance for Gainesville is available within 5 minutes of your call. Monthly Payments for Florida FR44 Insurance are available!! !